Apps that enable companies to reward customers with freebies or discounts for purchases or social-media sharing are relatively new, but already a hit with businesses. 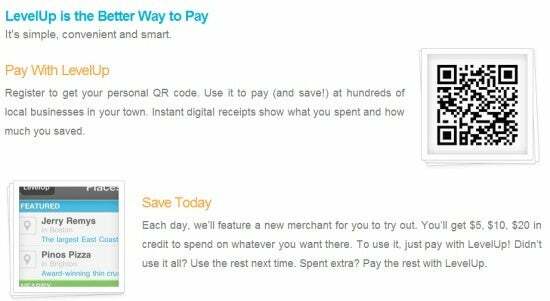 Some merchants claim that they offer better ROI than credit card loyalty programs or daily deal sites such as Groupon. The most successful loyalty reward app will be the one that appeals most to both consumers and merchants, and the arms race is on to get there. Check out what these five services have to offer. Perkville features 464 businesses nationwide, with no startup or installation costs. Perkville makes its money through a mandatory monthly subscription and optional promotions that work much the same as a daily deal site. On the consumer side, Perkville's attractiveness is its simplicity: your email address is your passport to deals--no app, no card, and nothing else to remember. Perkville displays search results using a map of your community. Pica Pica Maize Kitchen, in San Francisco and Napa, was one of the first restaurants to sign on with Perkville. Owner Andrea Lopez Vermut says she likes the transparency of Perkville and the fact that it provides her with email addresses so she can do further marketing to her customers. Vermut had previously signed up with a credit card loyalty reward program, which cost her between 10 to 17 percent of each sale--a huge margin in the restaurant business. For that sum, all she got was the sale itself, no information on the customer, and no way of knowing if her clients were being actively marketed to or just getting a deal for paying with a certain type of credit card. Location-based service Foursquare kicked off the loyalty app concept with its Check-In Specials, which allow businesses to offer coupons and promotions when users check in at their location from a mobile phone. Once you’ve claimed your business's location, you can create these specials, and then log in and check your analytics for free. Free has a price, however; you don’t get to use customer email addresses for promotions. LevelUp offers a glimpse of how loyalty apps may work as more merchants adopt mobile payment systems. LevelUp lets the consumer create their own QR code using a credit or debit card that contains all the information they need to pay for items at participating stores. While it doesn’t offer customer email addresses like Perkville does, you can still get analytics on your customers and offer loyalty incentives through their system. It also offers a flat processing fee for its merchants: 2 percent per transaction. Find out more by getting in touch with LevelUp. LevelUp lets you run customer loyalty programs and provides a mobile payment system. ShopKick may be familiar to people shopping at major national chains as the loyalty app that Crate & Barrel, Old Navy, and Macy’s they use to reward customers. While the service isn’t available to all businesses yet, it aims to drive foot traffic for small and midsize businesses as it's done for the large chains. Shopkick is running a promotion for Shopkick Local that would allow your business to sign up on its service free for one year. Chatterfly is a loyalty app for iPhone and Android, purchased in late 2011 by Plum District, a deal site for moms. There's no word on any changes yet as a result of that acquisition, but businesses can sign up here to find out more. Out of the loyalty applications profile, Perkville is the most transparent about what it offers retailers, while Foursquare offers the widest reach at no charge. If you have a retail business of any kind that would lend itself to a rewards program, it can’t hurt to consider one of these. Angela West is probably the least loyal customer on the face of the earth, and is easily swayed by a good deal. She's written for big insurance companies, small wildlife control businesses, gourmet food chains, and more. Follow her on Twitter at @angelawest and Facebook.